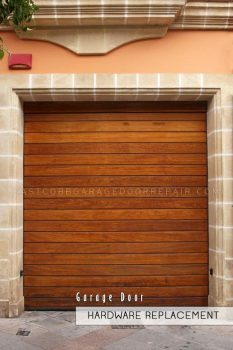 If East Cobb Garage Door Repair isn’t able to handle your garage door repair or installation needs, there is a chance that no one can. With all that we have to offer, we are sure we’ll be able to satisfy your needs. When you need any type of repairs to your door but aren’t fully aware of what exactly needs to be done, rely on the services of our technicians at East Cobb Garage Door Repair. They will perform a thorough and complete inspection of your doors to determine what the problem is. Once they have identified the problem, they are generally able to complete the job on the same day. If you want quality services at the most affordable prices possible, turn to East Cobb Garage Door Repair. We’re always keenly interested in making sure you are safe from any harm that could come to you as a result of your garage door. This means that we only hire the best and most qualified service technicians to handle the installation and repairs of your garage door. Call on us when you want to be sure that the job is done right at East Cobb Garage Door Repair. When you know who is handling the job for you and you are happy with their track record, it helps you sleep at night. We want to give you the peace-of-mind that you want and deserve at East Cobb Garage Door Repair. Why not call us and find out more about the professional services offered to you by our expert service technician. The service technicians that we employ are professionally trained and they have years of experience installing every type of garage door on the market today. Don’t take chances with your safety by hiring a good friend to do our job.